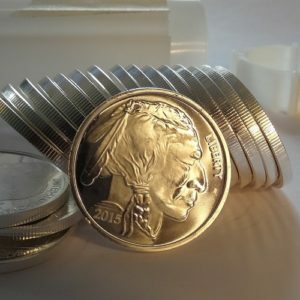 This page features live pricing on ONE OZ silver rounds. We also carry fractional rounds in 1/2, 1/4 and 1/10 troy oz denominations. 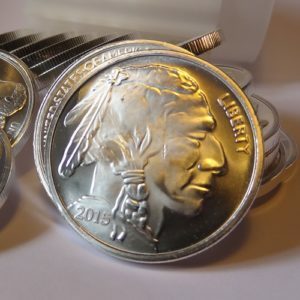 Available designs typically include Morgan Dollar, Walking Liberty and Buffalo. Please call us at 503-213-3352 for current prices and availability. Thanks!